If your family is like ours, you have family traditions that come into play in a big way this time of year. Though I currently make my home in Laguna Beach, California, I’m originally from Texas and the Montgomery family (Mama Kat’s side) is steeped in family traditions. 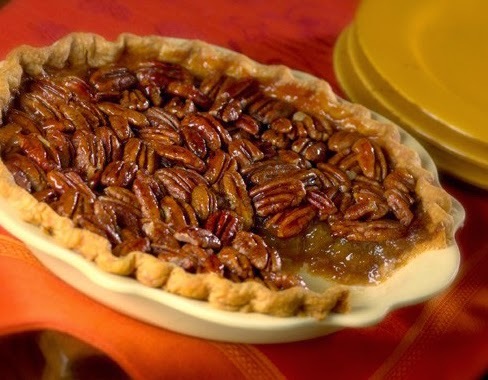 Whether it’s the big summer family barbecue or the traditional turkey and pecan pie at Thanksgiving, we have those favorite foods and rituals we've come to expect. Though I’d have to say we’re having a bit more trouble keeping up with all the customs since Grandma Tillie has been gone. She really was the main hub in the spoke of our family. She was at the center of all that was good and strong in all of us. Which brings me to the second part of family traditions…family keepsakes. As y’all may know by now, our Grandma Tillie had this brooch. Like a lot of things families hang on to, it has a lot of emotion attached to it. This one is a basket filled with jewels: rubies, emeralds, sapphires, etc. so I guess there may be some intrinsic value but the true worth is the sentimental significance. You see, in her will Grandma Tillie left the brooch to her “Favorite Granddaughter.” There are only two of us, my cousin, Mel, and I and well, you see the problem, don’t you? I purely do not know what Grandma Tillie was thinking when she did that, but the lack of clarity on who should get the family brooch set off a firestorm with the two of us battling for possession of the thing. Mel has it – I take it. I have it – Mel takes it. 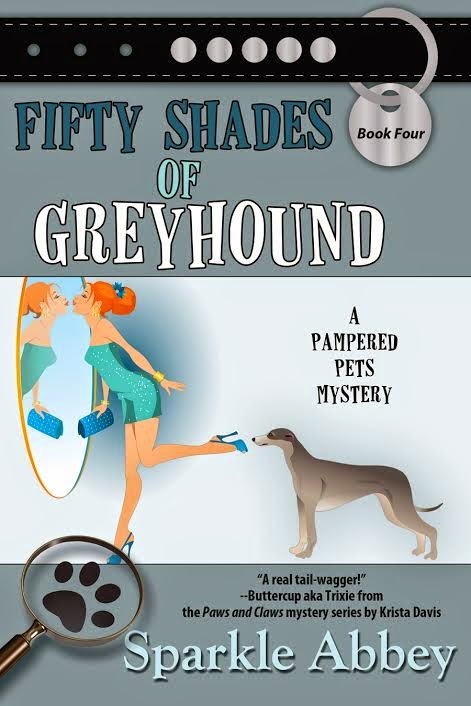 I’m currently in possession through a very convoluted chain of events that you’ll have to read about in FIFTY SHADES OF GREYHOUND and THE GIRL WITH THE DACHSHUND TATTOO, but that could change at any moment. We probably should settle the matter like adults but, though we’re grown women and respected professionals…well, we just can’t seem to sort this out. Do you have any interesting family heirlooms, valuable or otherwise? How about family traditions? Sparkle Abbey is actually two people, Mary Lee Woods and Anita Carter, who write the national best-selling Pampered Pets cozy mystery series. They are friends as well as neighbors so they often write at ML’s dining room table or at the Starbucks up the street. If they could write anywhere, you would find them on the beach with their laptops and, depending on the time of day, either an iced tea or a margarita. 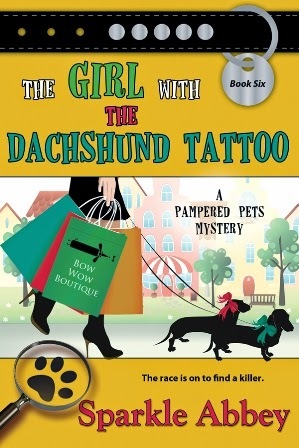 When their publisher, Bell Bridge Books, asked them to choose a pen name, they chose to use Sparkle Abbey because they liked the idea of combining the names of their two rescue pets – Sparkle (ML’s cat) and Abbey (Anita’s dog). They are members of MWA, RWA, and Sisters in Crime and they love hearing from readers. You can contact them through their website at: www.sparkleabbey.com and sign up to be a part of their street team Sparkle Abbey's Pack via the form on the website. No heirlooms to be found here at our house, but, since I am a quilt maker, I have made and given quilts to family and friends. Possibly they will be considered heirlooms one day. One tradition that our family does have during the Christmas holidays is to bake and decorate sugar cookie cut outs. The young ones leave a couple of them for Santa on Christmas Eve. Quilts are wonderful keepsakes and we're sure yours will become heirlooms. The sugar cookie tradition sounds fun!